Former U.S. Vice-President Joe Biden acknowledged Wednesday that his tendency toward physical displays of affection and encouragement has made some women uncomfortable, and he promised to be “much more mindful” of respecting personal space. “Social norms have begun to change. They’ve shifted,” the 76-year-old Biden said in a cellphone video posted to Twitter. 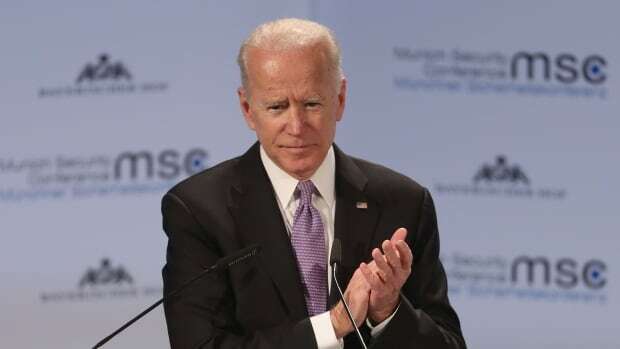 Wearing a suit and open-collared shirt, Biden also teased an announcement of his political plans, promising to “be talking to you about a whole lot of issues.” Shortly after the video was released, a union announced Biden would speak at their conference in Washington on Friday. The video was Biden’s first direct comment on what has tripped up his preparations to enter the 2020 Democratic presidential campaign. He did not directly apologize but seemed to be seeking to ease some people’s discomfort, which has raised questions about whether he could wage an effective campaign. In the video Wednesday, Biden insisted that what he described as the compassion from where the affection comes will not change and again nodded to the steps he’s taking toward running. “And I’ll be much more mindful. That’s my responsibility, my responsibility, and I’ll meet it,” Biden said. In so doing, Biden was tacitly acknowledging a nagging concern for some voters: that he cannot adapt.